It’s over 1,600 miles wide, a distant world at the far reaches of our solar system. The largest moon of Saturn, Titan and also the second-largest satellite in the solar system, dwarfed only by Earth’s moon. 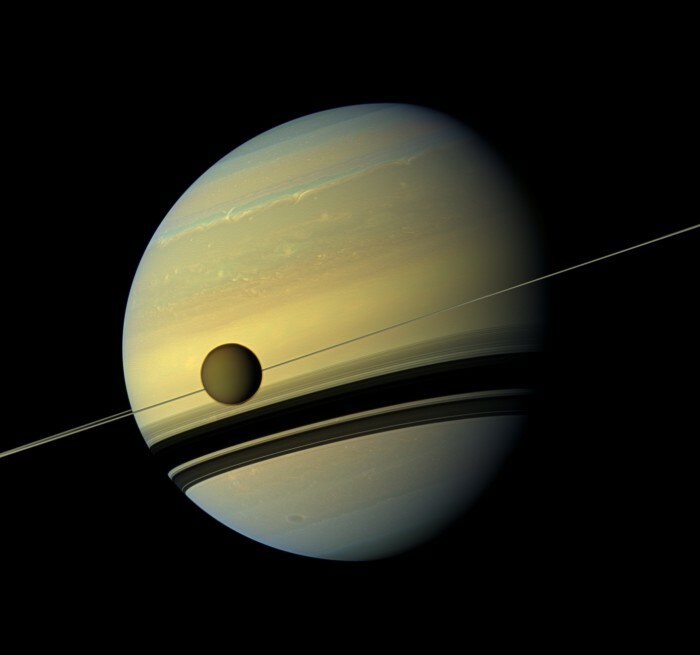 Aside from our planet, Titan is also the only place in the solar system known to contain liquids, containing a number of seas, lakes and streams that differ from those on Earth in one important respect – they’re composed entirely of methane and ethane, with freezing temperatures significantly below the record lows of the Antarctic Ocean. The depths of Titan’s largest sea, Kraken Mare, can reach lows of -298 degrees Fahrenheit. Somewhere beneath the moon’s surface, is a wealth of petroleum far more abundant than anywhere on Earth. 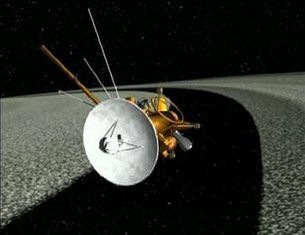 As tantalizing as the moon may sound, we’ve only managed to scratch the surface, one decade after the Huygens probe sent a lander there in January 2005, to a reflective region of the moon known as Xanadu. Nothing has landed there since. The ESA’s Cassini passing through the Saturnine rings en route to Titan. However, Huygens may just be the beginning of a rather exciting chapter in space travel. At the time of its landing, the Cassini spacecraft was actively orbiting the planet Saturn, offering us only subtle hints of the moon’s surface, beyond its atmosphere of orange clouds. With the aid of the spacecraft’s Synthetic Aperture Radar (SAR) imager, capable of infiltrating the fog much more readily than the human eye, the Huygens probe has transmitted data back to Earth, helpful in generating maps of the moon’s surface. However, some grains still remain in what are otherwise extensively detailed pictures, causing scientists to further investigate the moon’s rather mountainous surface. It is likely that liquid played an important role in shaping the moon, with eons of precipitation causing a number of the rocky features. Among the more unusual aspects of Titan are the recently discovered presence of waves – making methane bodies like the Kraken and Ligeia Mare rather unstable and violent regions, due to extreme tidal pulls from Saturn. By the year 2040, NASA hopes to release a submersible into these fierce waters, which are likely places for harboring any extraterrestrial life that may be lurking beneath the surface. This summer, a flyby of the moon revealed what appeared to be islands, jutting out from under the powerful currents of Titan’s lakes and reflecting the light in Cassini’s lenses. Until the mission is designed, researchers have also employed a “despeckling” process to cancel out noise, bouncing radar signals from the surface rather than making use of light sensitive photography, which will be useful in gauging points for further exploration and an understanding of how the moon began to form. What is yet another mystery harbored by Titan is the possibility that it may be significantly older than Saturn, with even its atmosphere being older than its host planet. Rather than using a map with legends and points, researchers will be rewarded with 3-D maps of the surface using altimetry data and elevation mapping, sent out in the radar signal. However, researchers are making minimal use of the process, being careful as to not add trivial details to the planet. Ultimately, researchers will work out one feature at a time for as long as Cassini maintains its flybys over Titan. While it is being used to continuously build a picture of this far off world, despecking, which operates on a de-noising algorithm perfected by astrophysicist Antoine Lucas of NASA’s Jet Propulsion Laboratory, may have some practical use on other planets as well as here at home, possibly drafting maps of affected disaster areas, already giving us some implication of the technology that further probe missions to Titan may bring.